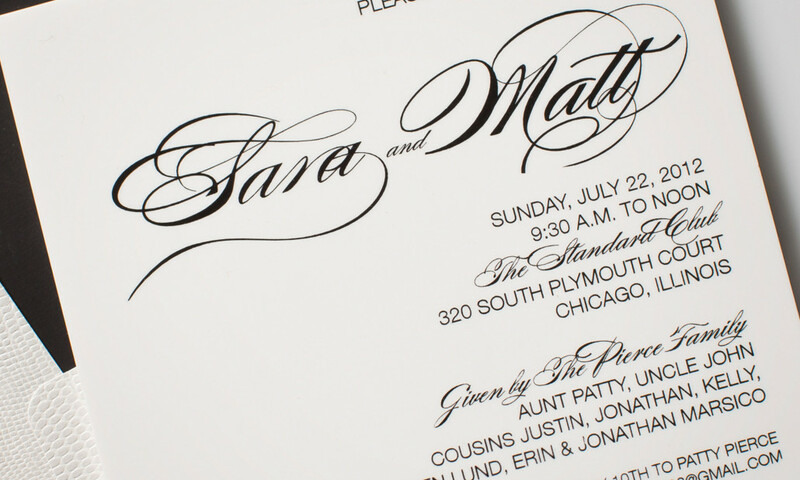 Weekend wedding events are worthy of their own beautiful invitations too! 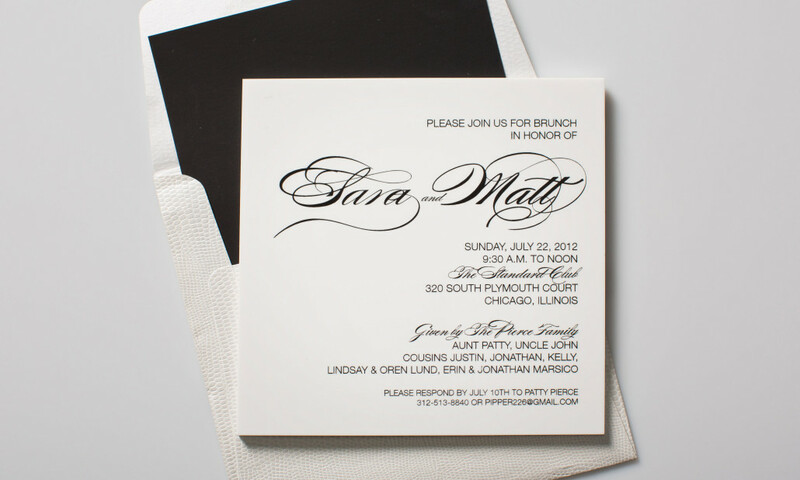 This brunch invitation is printed on white acrylic and mailed in a white faux lizard skin envelope with a striking black liner. Make the piece a little larger, and this could be an invitation for the main wedding itself.